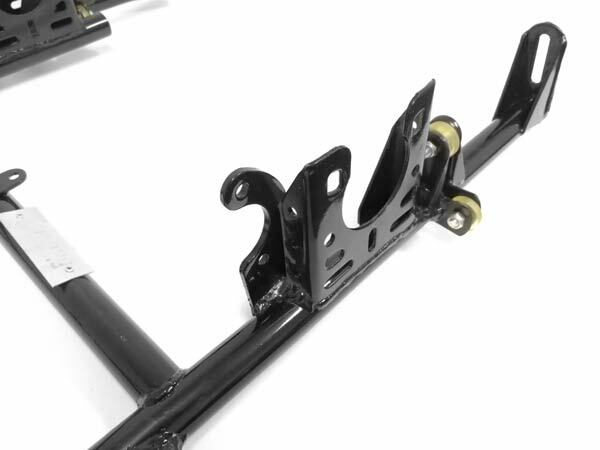 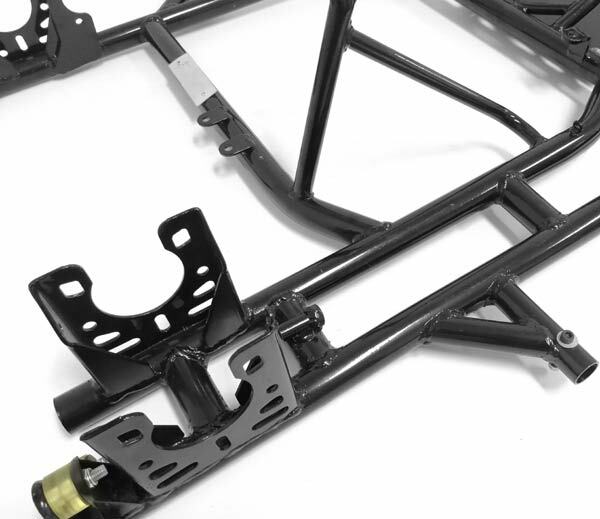 NOTE: This \chassis does not included welded engine mount - you will require an additional mount to fit an engine. 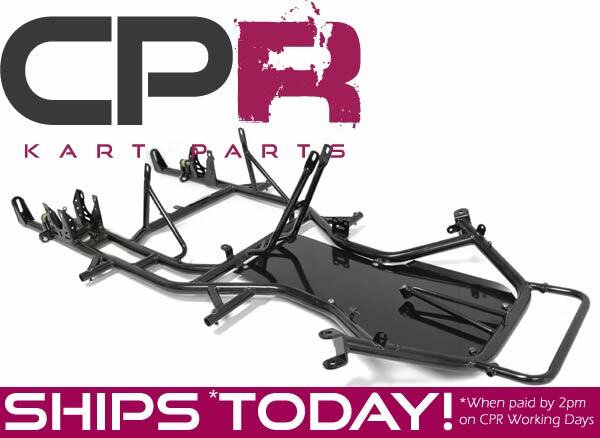 Our new CPR Chassis has been re-developed using a chrome-moly material for extra rigidity and strength. 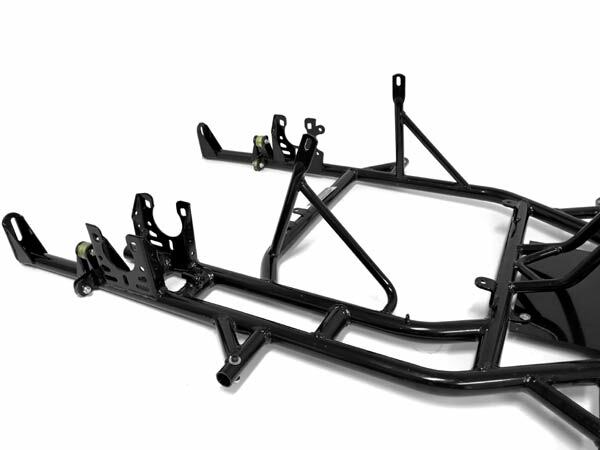 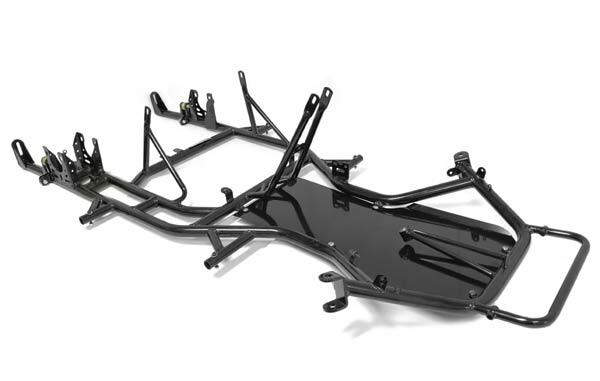 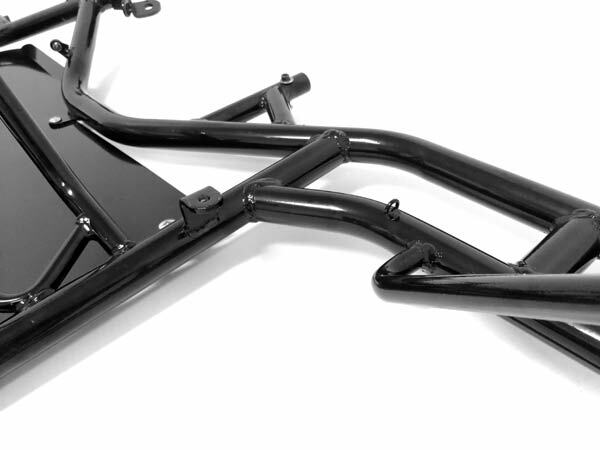 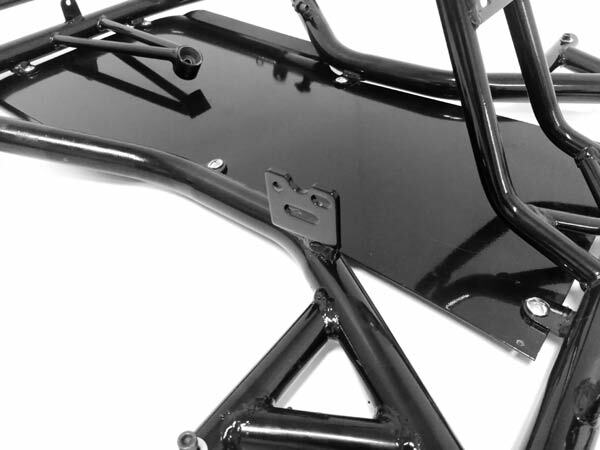 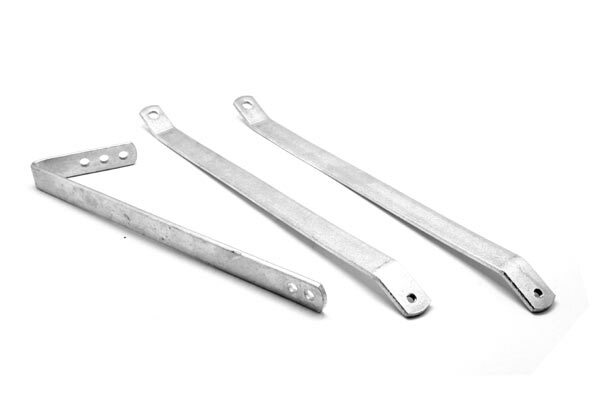 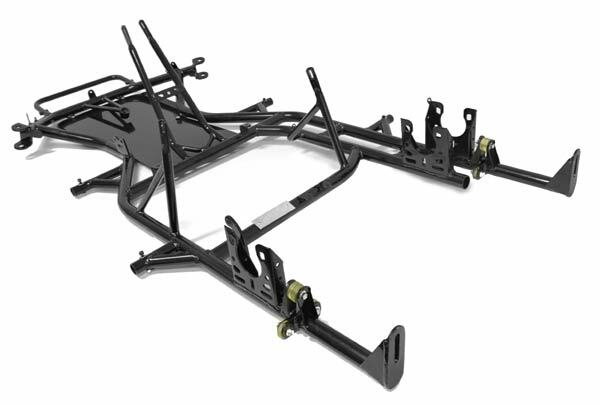 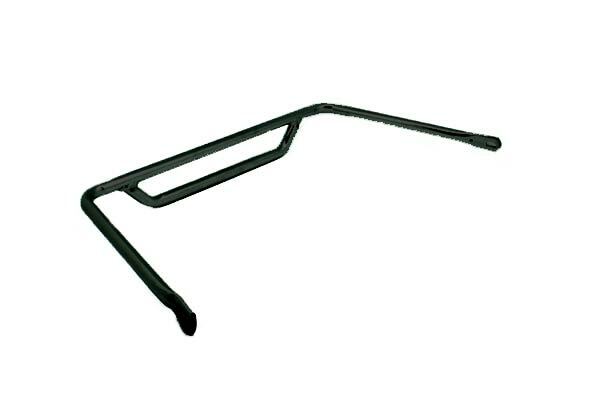 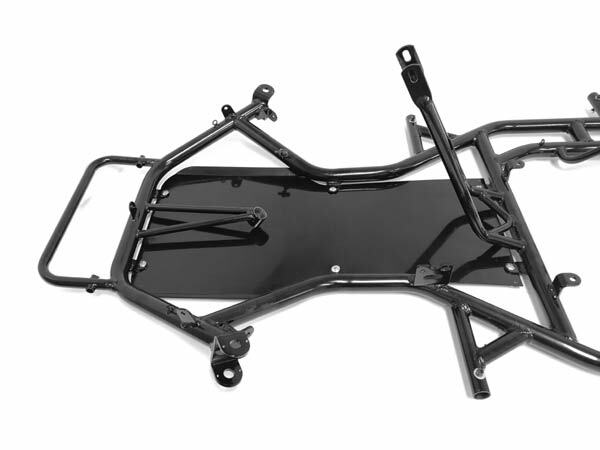 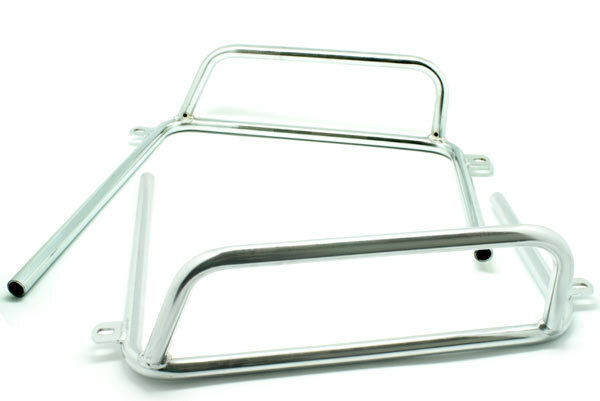 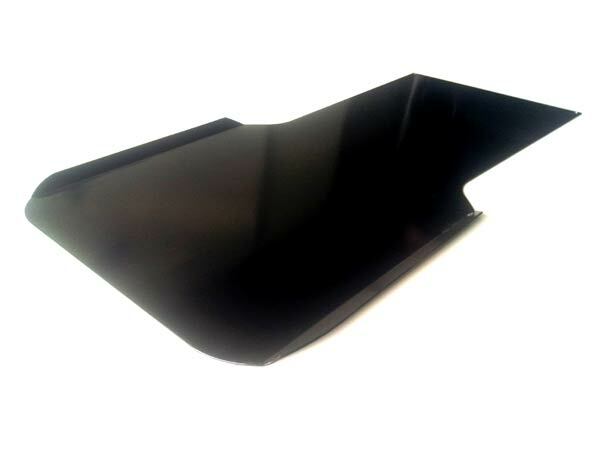 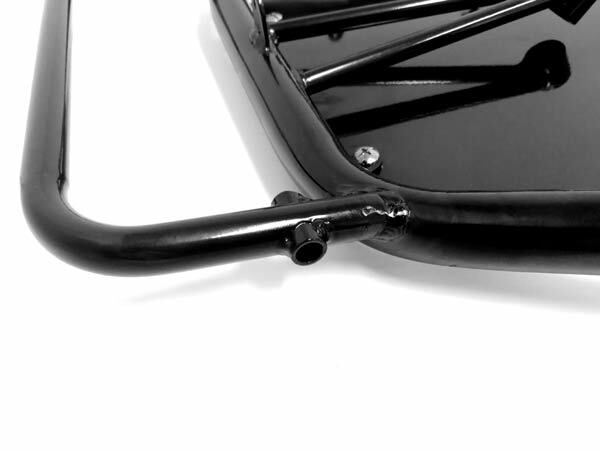 Senior Chassis - 1050mm wheelbase, 640mm Outer Chassis Rail to Outer Chassis Rail. 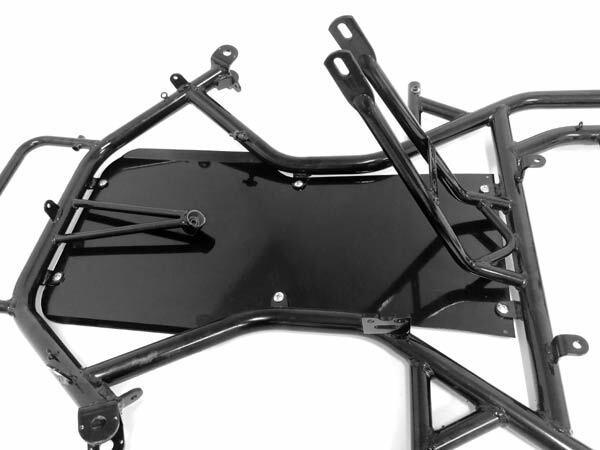 Includes engine mount (welded) but can be cut and removed to fit alternative mount.. 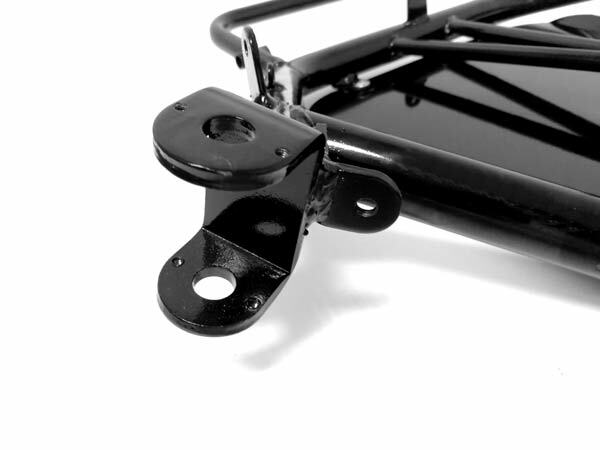 Direct bolt-on fit mount for our LIFAN 6.5HP Engines. 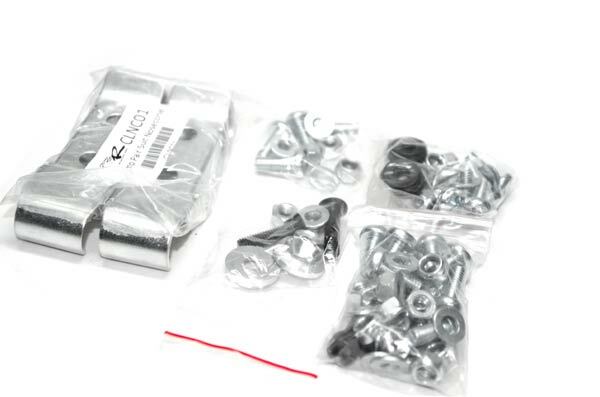 Suits most CPR parts - direct bolt-on fit.